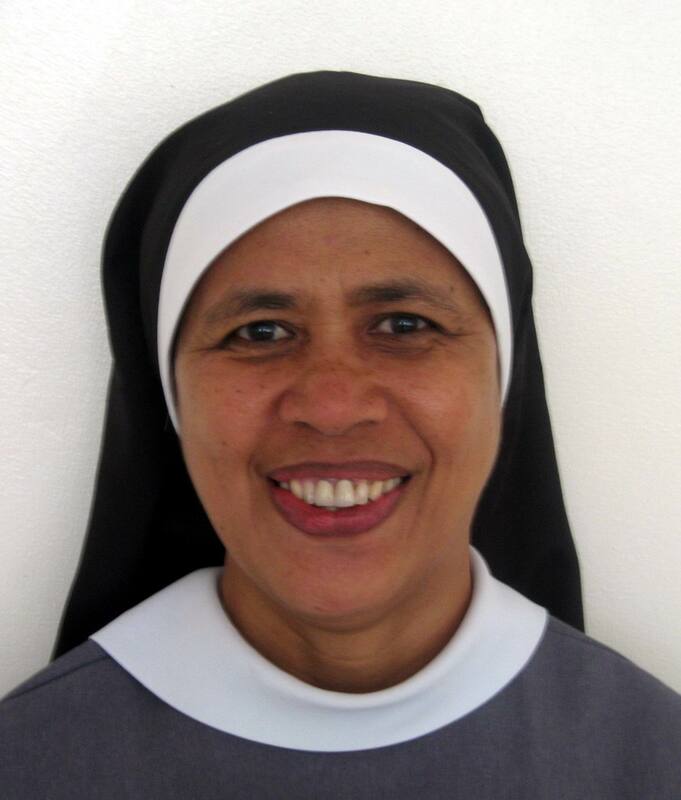 The full text of the talk of Sr. Miriam Alejandrino, OSB during the Symposium in Makati last July 21, 2008 with the theme Word and Life, sponsored by the Don Bosco Center for Studies on the occasion of their silver jubilee is now posted here at our cbfsea web. There were four speakers: Bishop Pabillo on the coming Synod of Bishops on the Word of God; Fr. Ska, SJ, her professor at the Biblicum, on the Torah in the Covenanted Israel; Fr. Gil Alinsangan, SSP, on Paul’s preaching in the Early Church, Sr. Miriam on Breaking the Word in the Church of the Poor. The one-day symposium (8:45a.m. to 4:30p.m.) was held at the Don Bosco Church in Makati, which has a capacity of 1,000 people. The Church was full to its capacity with so many lay men and women, Nuns and Sisters, priests and seminarians, 2 bishops and Archbishop Arguelles. I was privileged to be present in the 7th Plenary Assembly of the Catholic Biblical Federation (CBF), a world-wide association of Catholic organizations committed to the ministry of the Word of God. At present, the CBF membership includes 95 full members (from Bishops Conferences) and 233 associate members coming from a total of 133 countries. 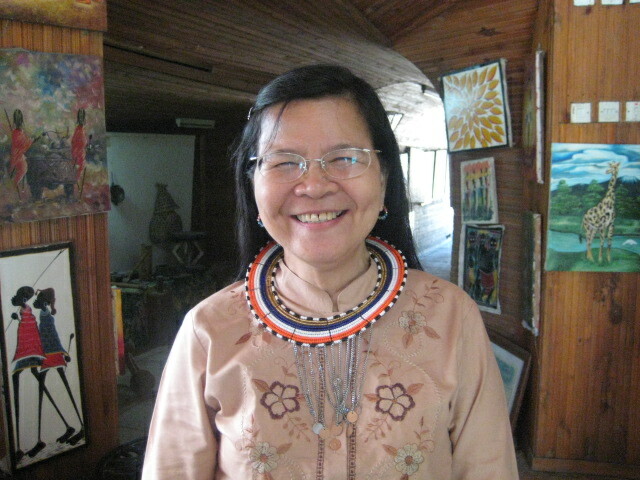 The Cebu Lay Formation Center is an associate member of the CBF since 1987. 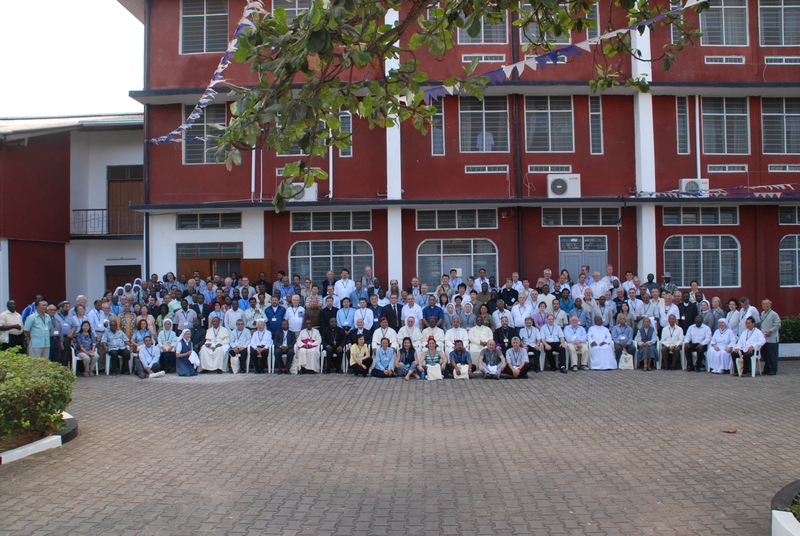 The CBF-PA was held at the Tanzania Episcopal Conference at Kurasini, Dar es Salaam, where most of us stayed from June 23-July 7, 2008. 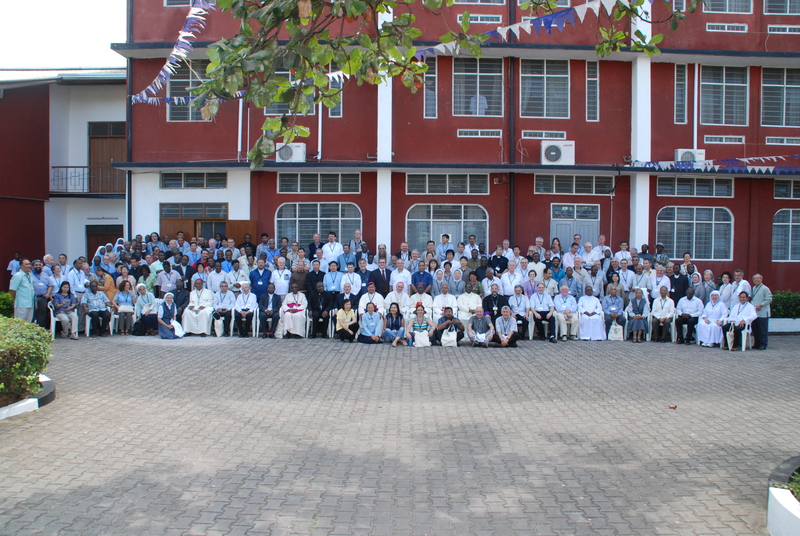 It was attended by 230 delegates and observers from the member organizations of CBF. 25 Bishops, 112 and more priests, 20 Sisters, Religious Brothers and lay people comprise the delegates and observers of the PA. Notably, there are more participants from Africa this time. 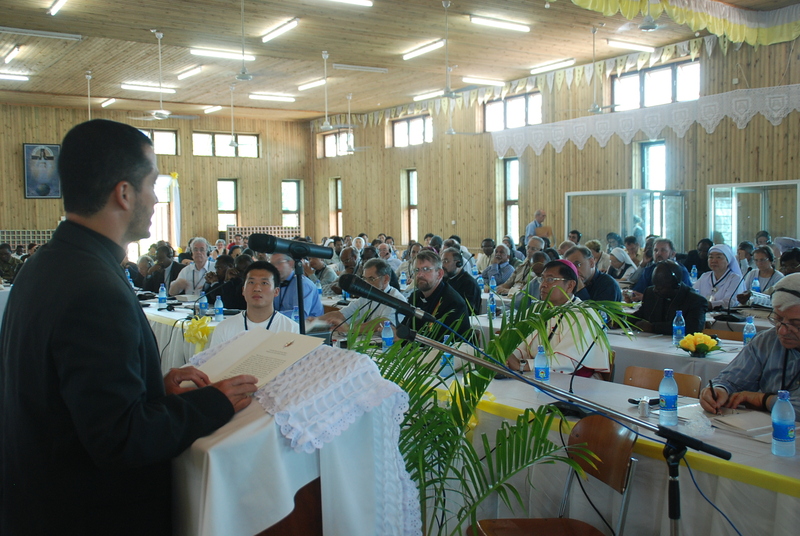 The theme was “Word of God – Source of Reconciliation, Justice and Peace”. The opening speech of Hon. Pius Msekwa is worthwhile reading that puts the Plenary theme in its context. He speaks more of Africa but it is very well applicable to our country. The process of “See-Judge-Act” was followed in the program of the Assembly. More time was given to workshop groups. In the “See” day, we were in a mixed group of different countries in our sub-region and later with other regions, to see our social situations. We realize that we have more or less the same situation at varying degrees. Violence, criminality, poverty, migration, drug addiction, corruption, food crisis, increased oil prices, unemployment and natural calamities were noted as common to most of us. I shared in our mixed group of different countries my experience with the Cebu C-CIMPEL team headed by Mrs. Marilu Chiongbian in our Barangay Development Projects. This was very well appreciated by the group and wished they could do a similar project in their own places. We took inspiration from Isaiah 55 which we used in our daily morning Lectio Divina in mixed groups. I was facilitating one group. 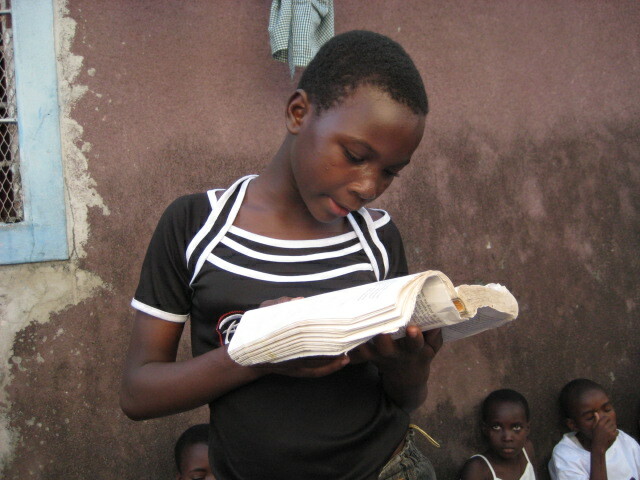 But on the last 3days, after the exposure to the African context, we used the text on Matthew 5:1-12. 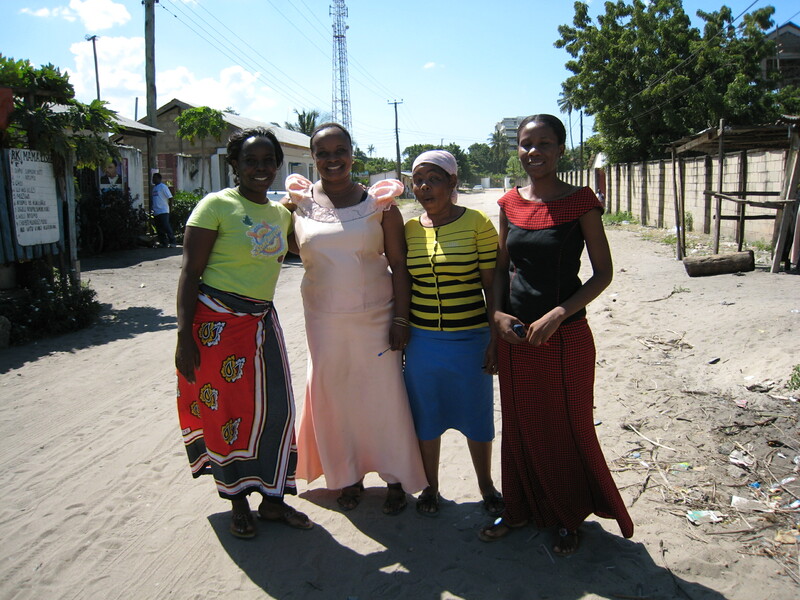 The beatitudes gave new light after the community exposures around Dar es Salaam. We signed up our names on the paper with the name of the parish. Since we do not know the parishes, we just wrote our names on one of the papers. We were then fetched by the parish priest and went to the parish in small groups. The parish I signed in was Keko Parish. It’s a very poor parish. We were ushered to a small chapel where it was full of people sitting on benches. There were people outside the chapel too – at the back and at the sides. The choir was lively. The Africans dance as they sing even if they are just sitting. They sway their heads, hands and bodies. The people also sing and dance along. When they sing and dance, it is as if they have no problems in this world. It’s just a joy to be alive, to worship and to be together. There were two collections made because they have a project – for one, they need to build a bigger church which was already started. They have to get more funds to continue the construction. But the community is very poor. Nevertheless, everyone gave something during the offertory. 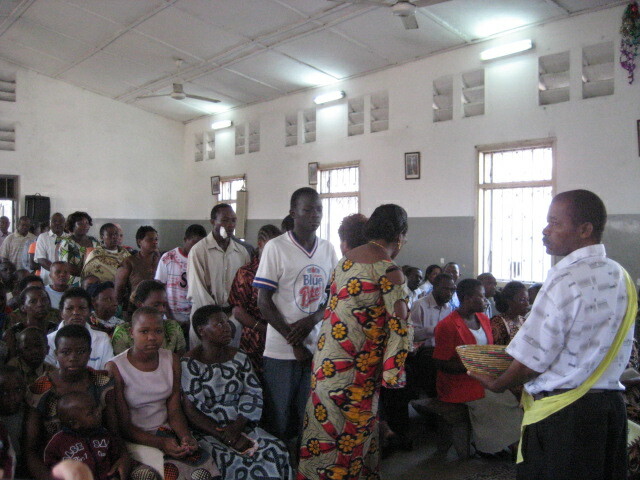 They lined up in single file to give their offering or donation while the choir sang and danced their lively songs. 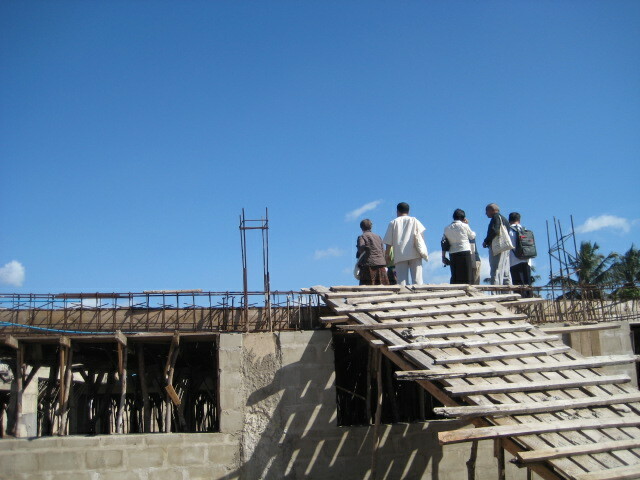 After the mass, the priest showed us the initial stage of the church construction. It’s still a long way to go and much money needed to spend for it waiting for generous donors. Our attention was caught by a group of young people who were sitting beside a fence to get some shade and praying together. I approached them and learned that they were members of the Legion of Mary and they were having their weekly prayer and meeting. And they were all young people! Lunch was very special since it was the 10th sacerdotal anniversary of the two priests there: Fr. Gaspard and his assistant priest. see such groups of small children and youngsters in our own parishes back home, sharing God’s Word and praying together like them! 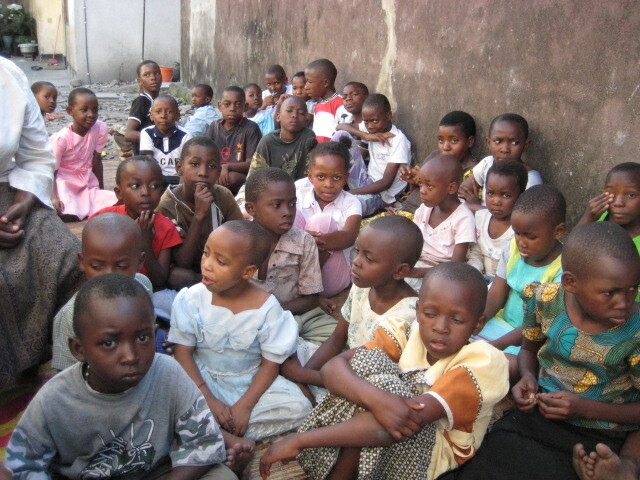 Our kids here are more seen in front of the TV screens or video games or internet games when they are not in school. When these kids grow up, how would they lead our families, communities and society? for each bucket of water. I forgot to ask how much. The houses were lined up one after the other. wrong she did and asked forgiveness from God and the understanding of her neighbors. 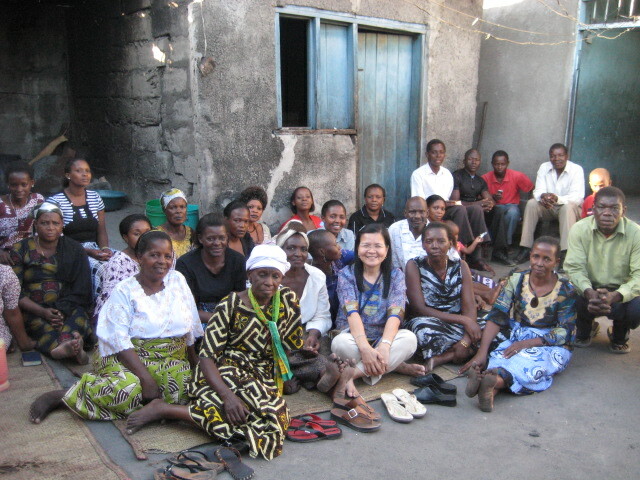 I was happy to be able to share with them too since Sr. translated what I said to them in Swahili. 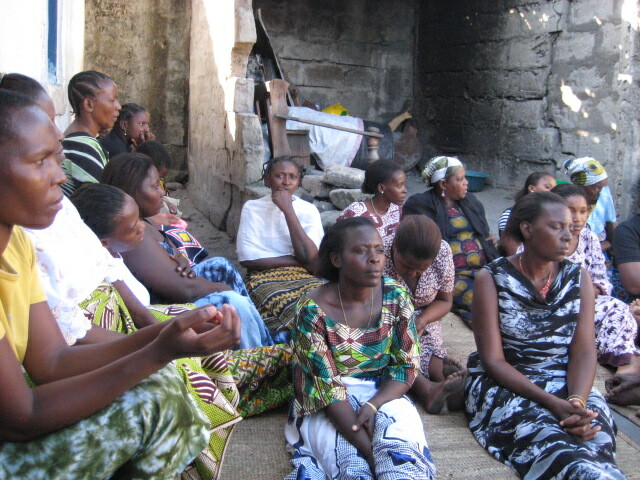 After the sharing and prayer, they had a short business meeting announcing that their community is in charge of the following week. They will clean the chapel. The leader requested every member to make an offering and asked them what they will bring for the Sunday mass. The leader suggested that they bring things that are useful for the priests and the church like toothpaste, soap, fruits, vegetables and whatever they can share from their kitchen. If they can still save some amount for the donation of the church then it is best to add some cash amount too. 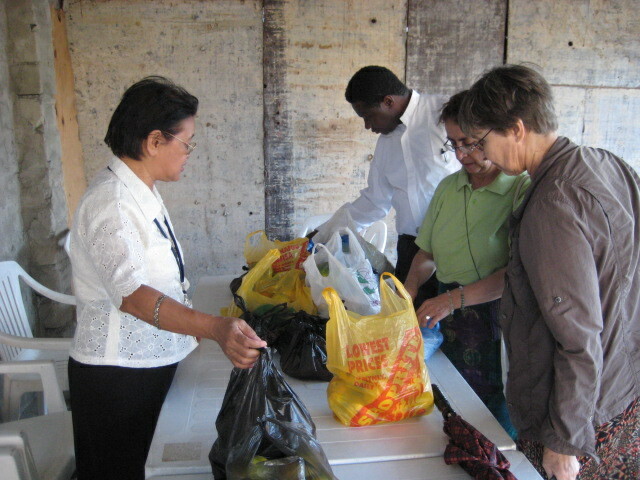 Then there was a collection for the fund of their small Christian community. At the end of the meeting, each one wanted to have a photo with us. 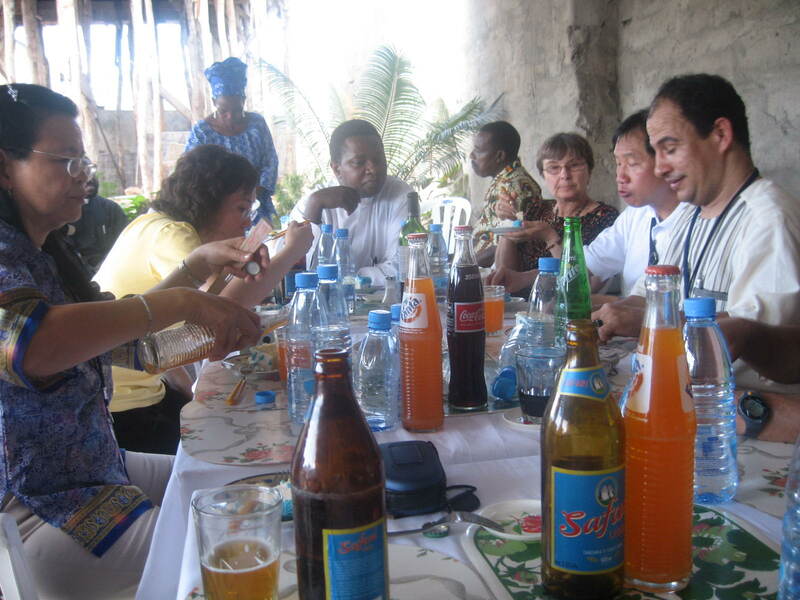 They offered us some soda and gave me and Sr. Janet each a cloth typical of Africa. I did not expect that. I was surprised and grateful for their generosity. We went back to the parish to meet our companions and share our experiences in the separate communities we visited. My companions who went to other small communities had the same experiences that we had. They were given gifts too. And we were more surprised when we saw several plastic bags on the table in the parish. There were several bags of oranges, rice, papaya, bananas and yes, live chicken! The people brought them there for us to take home. Mama Mia! In their poverty, they would like to give us even more. We could not take it. We left them in the parish and just took a bag of oranges that we shared among ourselves. I was so touched by their generosity! In my country, it is the same in the rural areas; the poor people are so hospitable and they would like to give what little they have. 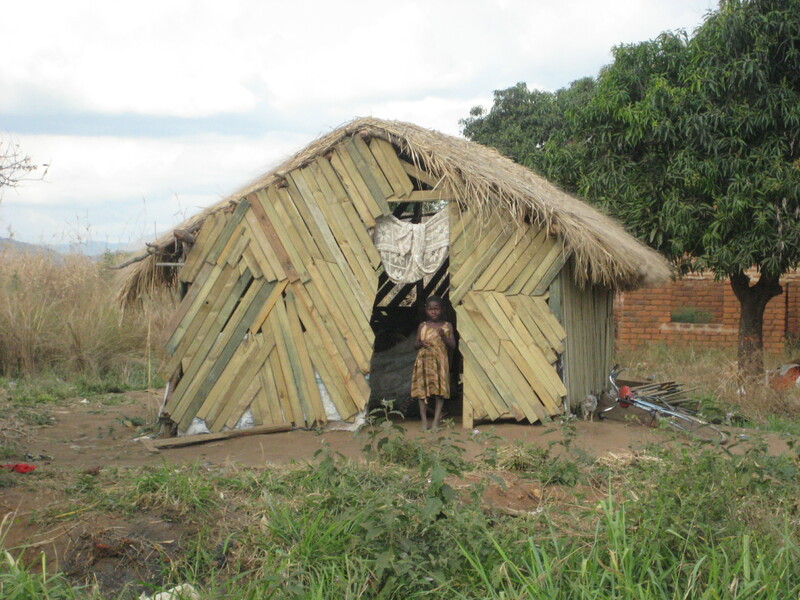 We also see the basic ecclesial communities more alive in the rural areas than in the urban centers. How I wish to see our Christian communities to be like that of Keko parish. We went back to TEC inspired by the living faith of the Christian communities we visited. We compared notes with the other groups who went to other parishes. They had nice experiences too but our parish, the poorest of them all, was the most generous and hospitable! “Blessed are the poor for theirs is the Kingdom of Heaven.” Is it heaven for them? I do not know. They are poor. They have little water and perhaps little food too. But they have a loving family, a friendly neighborhood, a Christian community, a God who loves them and gives them the gift of joy and peace. I noticed that the price of gasoline in Tanzania is very high compared to the Philippine price. Their diesel cost P81.00/liter with our money. Their minimum transport fare (short distance) is P12.50. The wage of an ordinary worker is only P100/day. They are eating ‘ugali’ which is ‘binlod nga mais’ for us in Cebu. They usually eat beans with tomatoes with the ugali. They eat almost the same food every meal every day and perhaps chicken occasionally. But I did not see any group demonstrating on the streets protesting for the high prices of gasoline, transportation or food. I did see many people walking on the streets with the women carrying the sacks or bags on their heads. I did not also notice that their government is giving food and electric bill subsidy to the poor. People just continue living day by day as best they could with what they have. It is also interesting to note that the women have no specific dress code or fashion. They dress in different clothing – long, short, skirt, pants, shirts, “tapis” or even gowns! I asked some of my co-delegates how the prices of gasoline and food are in their countries. It is the same. Prices are high for gasoline and food. Well, it’s good if we still have food even if we have to pay more than when there is none at all. But it just made me appreciate more and more the natural riches that we have in the Philippines. We can even grow vegetables in our pots and small plots at home. 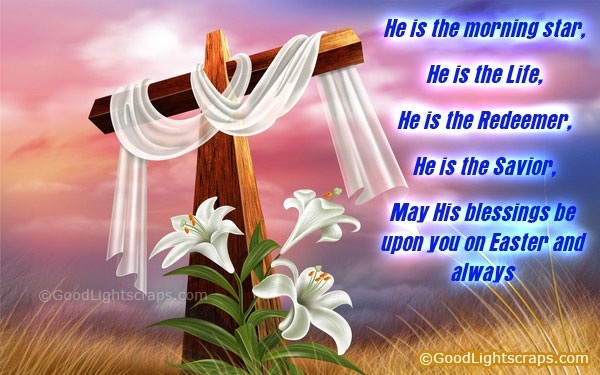 We are so blessed and we take them for granted. We cannot appreciate it enough because we think ours is the worst case. Given the bad reputation of corruption of our government leaders, the crisis is often blamed on them even if it has been broadcasted to be worldwide. In fairness, they are trying their best to find ways and means to buffer the ill effects of this world crisis. My question: how long will this help last? How long will this crisis last? How can each one help? Elections were done and some new members were elected to the Executive Committee. They will have lots to consider and decide for the next six years. We hope and pray that it will be for the good of all the members and CBF workers. The South East Asian Sub region has a concrete plan for January to March, 2010, i.e. to have a “Training for the Biblical Pastoral Ministers” at East Asian Pastoral Institute (EAPI), Ateneo de Manila University in Quezon City, Metro Manila, Philippines. We hope to get many members from our sub-region and from Asia and whoever is interested to join us. We still have to meet for the details of this short course. Fr. Jeya, the EAPI Director, promised to get funds for subsidy for those who cannot afford the full amount for tuition and board & lodging. With the help of our membership fees, we may be able to provide additional subsidy to our members who need help the most. We hope that our better-off members will give more of their membership fees. We hope and pray that our Bishops and Priests will support us in the work of Evangelization thru the Word. And in these times of hardship: Reconciliation, Justice and Peace become ever more a challenge and a goal for each one of us. And we believe that the Word of God; shared, prayed and lived in communities will be a Source of Reconciliation, Justice and Peace. God’s Word is our inspiration, encouragement and hope. Truly, the harvest is plenty but the laborers are few. But the few that we have can get some more if and when we sacrifice and work hard to be fishers of men! It is indeed a great honor and privilege for an ordinary layman like me, to have been invited to perform an official opening function of the 7th Plenary Assembly of the Catholic Biblical Federation. I was very pleasantly surprised by that invitation, and I am absolutely delighted to be here. Let me start by joining your official hosts for this Conference, the Tanzania Episcopal Conference, in warmly welcoming all our foreign guests to Tanzania in general, and to Dar es Salaam in particular. I am aware that your last Plenary Assembly, which was the 6th in the series, was held in Lebanon, the land of the Bible, the land which was visited by Jesus Christ himself; and the land where the Gospel was preached by the first Ministers of the Word of God. From Lebanon, you have come to Dar es Salaam, Tanzania. Tanzania is a land of peace, free from both political instability and social or religious conflicts. And Dar es Salaam means ‘the haven of peace’. This combination should provide a very appropriate setting for your deliberations on the theme of this Conference, which is ‘the Word of God –source of reconciliation, justice and peace’. I am happy to join hands with all other men of goodwill, in praying for the success of this Conference. First, my inadequate knowledge or actually ignorance, regarding the existence of the Catholic Biblical Federation. 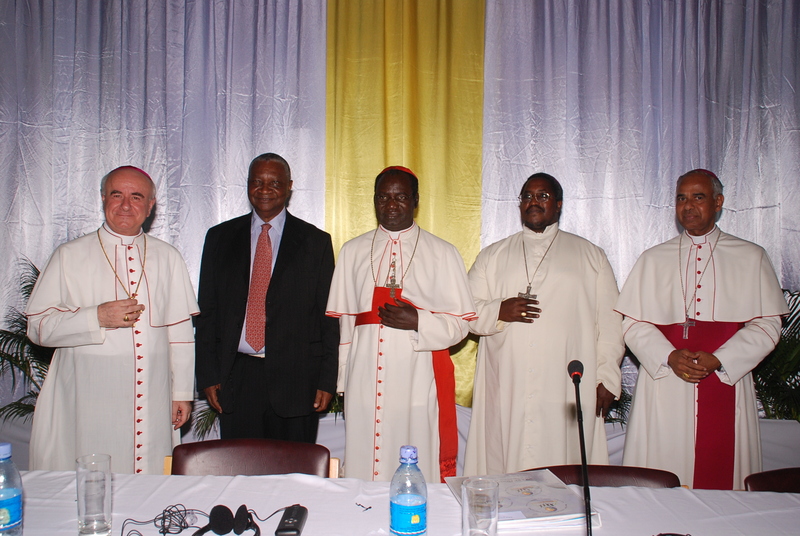 I must humbly admit that for me personally, and I suspect, for many other Tanzanians like myself, this is the first time ever that we are being exposed to the existence of the Catholic Biblical Federation and the excellent work which is being done throughout the world by this high-profile Organization. I am thus heavily disadvantaged by this ignorance. But then, this helps to underscore the significance of your decision to hold the current Plenary Assembly here in Tanzania. This decision has fortunately enabled many of us here to get o know what we did not know before, namely, the important mandate which was given to you ‘to implement the directives of the Second Vatican Council concerning Sacred Scripture in the life of the Church’, and to learn about your unequivocal commitment to this noble mandate. This newly acquired knowledge will certainly enable those of us who were previously unaware, to now participate meaningfully in assisting to carry forward your work towards the realization of your objectives. Secondly, I wish to recognize with humility, my own inadequacy as a lay member of the Church, having to address such a distinguished gathering of Church dignitaries consisting of Cardinals, Bishops, Priests and other learned persons, who have vastly superior knowledge, wisdom, and accumulated experiences than myself in matters relating to the teachings of the Church and the Word of God. Hence, I must confess that I felt a little apprehensive and nervous, at the prospect of speaking before this eminent Assembly. But now that I am here, I will do the best I can. The Conference program shows clearly that you have very serious, substantial, and professional tasks to be performed during the week of your meetings here. It shows, for example, that the Conference is scheduled to make a sociological analysis of Reconciliation, Justice and Peace; and also assess reconciliation, justice and peace in the light of the Word of God. It shows further that there will be a full session on ‘exposure to the African context’, including an encounter with the local Church. I expect that the Conference will examine in detail how the ministers and servants of the Word, in collaboration with the members of the Laity, should design our response of turning to the Word of God as the vision of our lives; but above all, as the source of divine power. The Spirit and the Word can overtake us and empower us, as happened in the case of the Apostles, provided we allow the Word to have a claim on our lives and on the life of the Church. The emerging power of the Word can be felt only in an obedient surrender, like that of Abraham and of the Apostles, whose ministry we regularly contemplate as we read the Word in the Acts of the Apostles. For example, there is the question which was posed by Pope Paul VI in Evangeli Nunciandi, asking ‘what happened to that hidden energy of the Good News, which is able to have a powerful influence on man’s concurrence’? This question still continues to challenge us. We do know that God’s Word is creative. It is the Word of power for renewal and transformation. Our task therefore is to seek ways of making the Word of God the source of energy in the heart of the Church and the whole world. This will bring about a change of consciousness, a change of behavior, and a change of structure. All of this is part of the mission of the Church, for all activities of the Church are, in one way or another, the ministry of the Word. The Church has the Word right at the center of her mission. How can we experience the Word as the source of life? Without the light and grace of the Spirit, the Word will not generate the energy needed for the transformation of life and society. Hence, prayer, accompanied by hard work, should become the hallmark of the ministry of the Word. At this moment in history, we should listen to the pressing invitation of the Word of God for a deeper conversion and deeper evangelization of our vision, our attitudes and our behavior towards other groups in our Society, be they religious, cultural or ethnic groups. But we must give special consideration to the poor, and all those who are victims of exclusion and discrimination in our Societies. Reading the Word of God should lead us to inner transformation, because the Word of God comes to us with its power to impel us to live in solidarity, namely in union and communion. It is only when we feel the irresistible power of the Spirit that we can become effective instruments of transformation. Do we facilitate the power of the Word to have an impact on the problems of Society? Have we, perhaps unconsciously, used the texts of Scripture to legitimize attitudes of superiority or discrimination, or violence, against others? Fundamentalist and purely spiritualistic interpretations of the Scripture have become a growing phenomenon in almost all Churches. The Biblical Pastoral Ministry has an urgent task of countering a sectarian and fundamentalist reading of the Word of God, an approach which builds walls of separation and discrimination. The Word of God in Sacred Scripture releases its power only if it is read properly. In fact, the Bible itself teaches us the option for reading it properly, and for living the Word of God. Selecting the correct options will enable us to remain faithful both to the original message, and to the people to whom it is proclaimed as good news. This Assembly is being held in Africa, and one of the sessions of this Conference is listed as ‘Exposure to the African Context’. This indeed is quite appropriate. 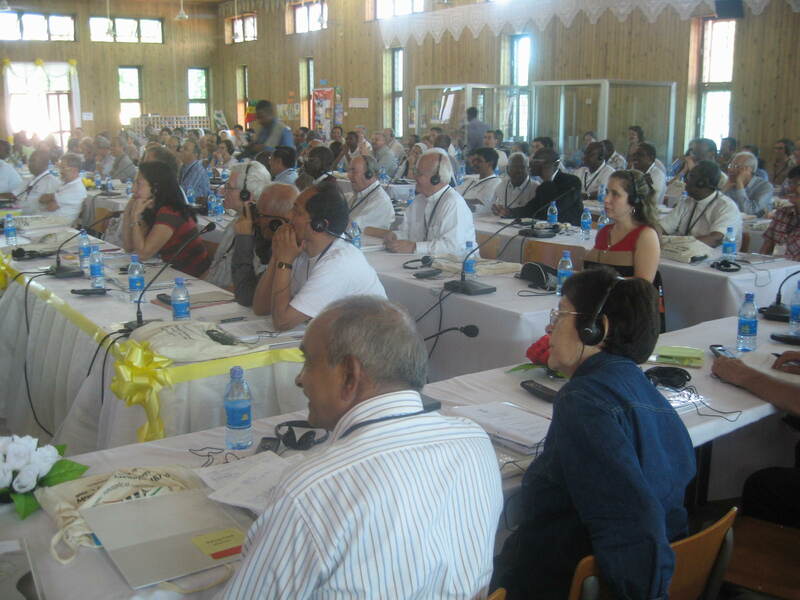 It is appropriate because it is completely in line with the theme of the forthcoming Second Special Assembly for Africa of the Synod of Bishops, which is scheduled to be held next year, 2009. 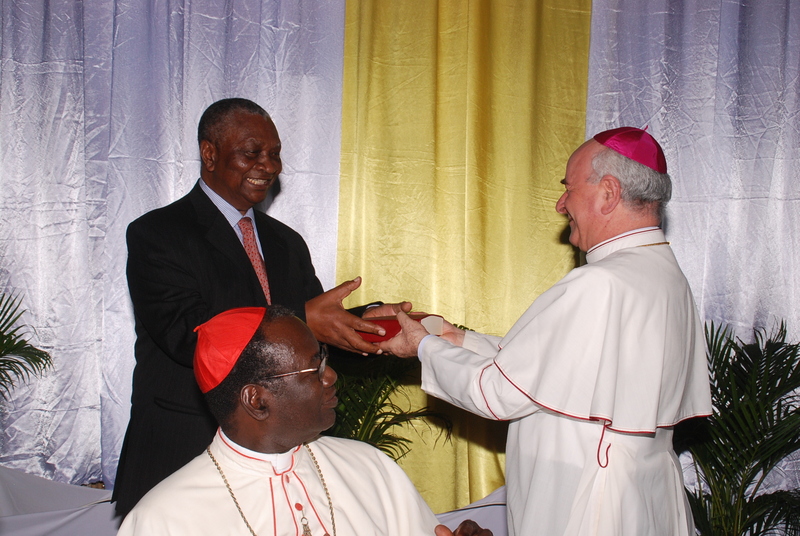 Its theme has already been specified by His Holiness Pope Benedict XVI to be ‘The Church of Africa, in service to Reconciliation, Justice and Peace’. For that reason, I beg your indulgence to spend the next few minutes talking about Africa, in the context of this conference. One of the major challenges in Africa today is the comparative lack of success in both the political and economic fields of human endeavor. This is partly attributable to the multi-ethnic composition of the African States. For ethnic pluralism is often the cause of tensions within the States of Africa. The question here is: How can this pluralism be transformed into a positive, constructive factor, and not one which leads to divisions and rivalries? In some African States, persistent social tensions impede progress, and lead to political disturbances and even armed conflicts, for example when peace is sometimes confused with tranquility imposed by force. 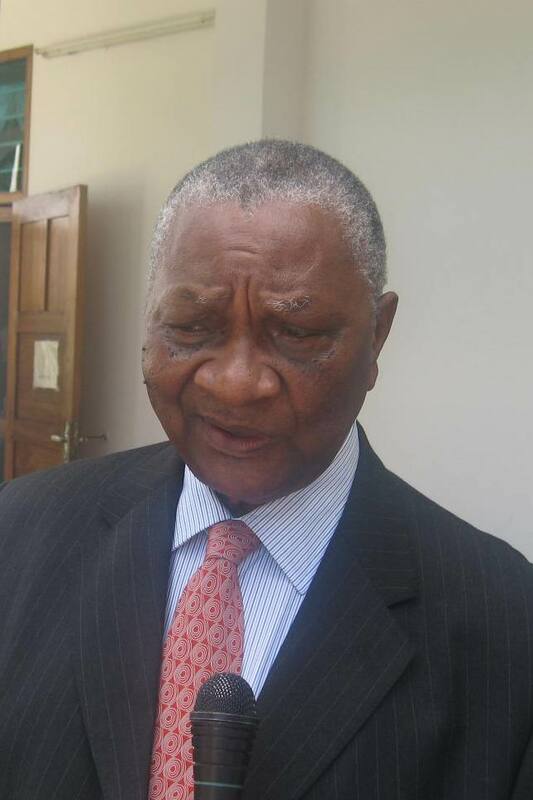 There is also the challenge of the temptation to keep power for overly long periods in the hands of one person as Head of State and government, often to the detriment of the economy and good governance of the country concerned. Another major challenge is the influence on African States by external factors. While it is true that almost all of the African States lived through a long and sad history of exploitation at the hands of colonialists; it is also true that the factor of exploitation did not terminate with de-colonization. It still endures even today in different forms, including the crushing burden of international debts, the unjust trade practices, and the severe conditions imposed by World Bank sponsored programs of structural adjustments. In addition, there is the challenge of dishonesty on the part of corrupt government leaders who, usually in connivance with domestic and foreign private interests, divert substantial national resources to their own private ends by transferring public funds to their private accounts in foreign banks. Therefore, the question here is: Given this sad state of affairs, How can the Church in Africa assist in devising ways and means to encourage honest politicians to protect public funds from misuse and embezzlement? Africa provides us with both the positive and the negative aspects regarding the issues of Reconciliation, Justice and Peace. On the positive side, there are many splendid and encouraging efforts of reconciliation in a number of the countries of Africa. The monitors and promoters of these efforts are often persons or groups who are deeply committed to, and motivated by, Christian values of love and forgiveness, as enlightened by the Biblical notion of justice. But Africa also provides examples of the negative aspects, which include the absence of justice and peace caused by the presence of hatred, of the desire for revenge, and of endless human conflicts. Those who have absorbed the teachings of the Church do understand clearly that the Church’s mission is to proclaim the news of salvation, a salvation that fees man, (the entire man) every man and in every way: spiritually, physically, morally, culturally, economically and socially. 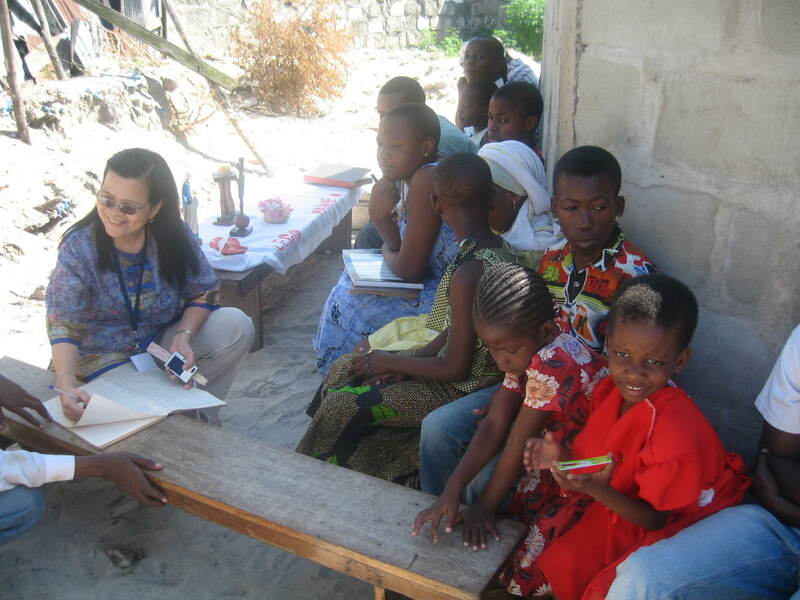 This is the mission of the Church – Family of God in Africa. All members of the Church are called to this task, whatever their situation or circumstances in life. But apart from those general tasks, there are certain specific aspects which require specific attention. And these should be carefully noted. The first is in relation to the concept of mutual respect and acceptance of each other. One guaranteed remedy against the deadly virus of discrimination is a strong conviction and adherence to the culture of mutual respect and the acceptance of human equality. This requires a break from the negative forms of solidarity, that is, those which originate from overemphasis on the individual’s ethnic group, or tribe. The second aspect is in relation to reconciliation and forgiveness. With regard to the concept of reconciliation, it is important to note that in the light of the South African post-apartheid experience, the term “reconciliation” has acquired the limited meaning of ‘the elimination of animosity, or an end to violence’. It is obvious that such a narrow meaning does not necessarily include the re-establishment of peace in the hearts of men. Forgiveness refers more to the internal work within a person, to heal the ‘wound’ in him and regain peace. In the words of Pope John Paul II: “there can be no peace without justice and no justice without forgiveness”. This is because human beings are sinful beings. The responsibility of the Church in this regard is to direct its pastoral activities to the task of bringing those who are at fault to a process leading to conversion and recognition of their errors or crimes; and to help the victims generously offer their forgiveness. The third aspect is poverty and violence. Poverty is in fact the most central issue, for poverty is a recipe for unrest. Violence is oftentimes caused by poverty. It is an indisputable fact that life for many ordinary people living in this Continent is an appalling state while at the same time there is no hope that the situation will normalize any time soon. It has been said that ‘a hungry man is an angry man’. In many areas, especially urban areas, where people don’t grow their own food, and yet have no regular employment, there is a very high level of nutrition deficiency, which in turn impedes healthy growth and tends to propel such angry people into violent acts against others. We have already observed that violence is oftentimes caused by poverty, as a reaction to growing social isolation between the ‘haves’ and the ‘have-nots’. But obviously, the real solution to violence is not to be found in social justice alone. Violence has also a cultural element in it. Hence, efforts must be made to create, or recreate, a culture of peace among people. Both non-violence and peace are cultural entities. Therefore, they must be built, or taught and learnt. Peace requires the ministry of the Word of God because peace is primarily a gift from God. 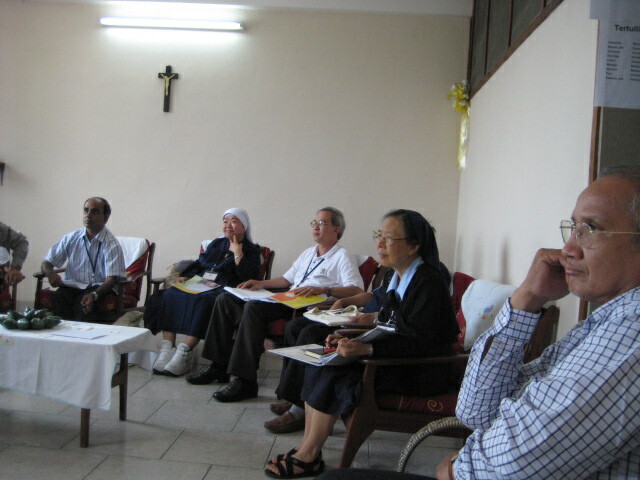 If the Church has the vocation to be the sign and sacrament of peace, She must be involved in educating people on how to achieve peace. And this is indeed what was done by His Holiness Pope Benedict XVI in his message on the occasion of the World Day of Peace in January 2007. Among other things, Pope Benedict said: “If it is true that peace is both a gift from God and a task because peace between individuals and peoples, (that is the ability to live together and to build relationships of justice and solidarity), calls for unfailing commitment on their part; it is also true and indeed more so, that peace is a gift from God. It is an aspect of God’s activity made manifest both in the creation of an orderly and harmonious universe and also in the redemption of humanity from sin. We are thus called upon to understand that peace is a task which requires individuals who live together to build relationships of justice and solidarity. In April 2008, the United Nations Secretary General, Ban Ki-Moon, expressed profound optimism about the achievements of the Millennium Development Goals (MDGs) and notably Goal 1, which relates to fighting against poverty. With regard to Africa, he stated that ‘primary school enrolment has increased significantly in a number of African countries, while in others, immense progress has been recorded in the fight against malaria; while economic growth is averaging 5% across Africa alone. But as the UN Secretary-General was selling the positives of the fight against poverty and the achievements of MDGs, the effects of the unprecedented world food crisis were already starting to hit developing nations, especially African countries, where the prices of almost all food crops increased significantly and chronic food shortage were recorded. Unable to make ends meet, populations in some of these countries started rioting against the soaring food prices and food scarcity. Consequently, some governments started panicking as the food situation threatened the political and economic stability of their jurisdictions. Yet all efforts seemed to yield very little results. It is now estimated that over 100 million people have fallen into poverty over the last two years, as a worldwide food crisis washes out the progress which had been made in the fight against global poverty. It is also estimated that some 800 million people are suffering from hunger, the vast majority of them in developing countries; and further that over 24,000 people die each day from the effects of hunger. Unfortunately, going by the experience of previous crises, some African leaders have always waited for externally conceived and driven solutions. But in fact, such external solutions are often un-adaptable to realities on the ground and more often impractical. Considering that Africa possesses immense natural resources, it is obvious that with the required political will and an environment of hard working populations, food production in Africa should be sufficient and enough to feed her people. Perhaps a gentle push from the Church is needed, and if given, it certainly would be immensely helpful. 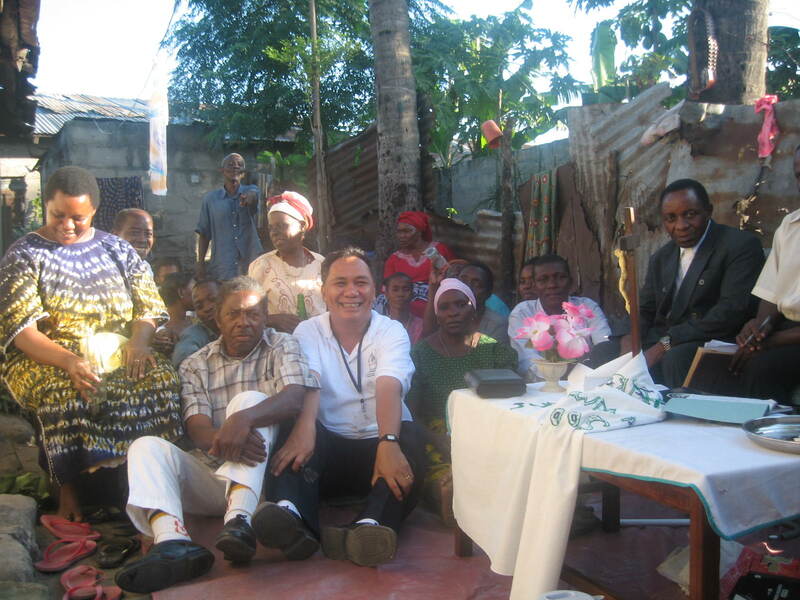 For the Church in Africa, the connection existing between her evangelizing mission and human promotion should be an inseparable bond between her vocation and her mission, because the salvation in Jesus Christ which she proclaims, concerns man in his entirety. As was stated at the Symposium of Episcopal Conferences of Africa and Madagascar in Kinshasa in 1984, “to evangelize is to develop man in all the dimensions of his vocation as a child of God”. This bond is made concrete in relation to human promotion, such as education, health, aid to the needy, development projects, defense of human rights and good governance. There is no doubt at all that bad governance is the source of injustice and conflicts. It is adequately highlighted in the social teachings of the Catholic Church, and was given appropriate emphasis in the encyclical letter of His Holiness Pope Paul VI which is titled: “On the development of Peoples”; that the Peoples major aspirations are for freedom from misery; greater assurance of obtaining sustenance, health services, education, an increased share of responsibility through meaningful participation in the decision-making process; and security from situations which violate their personal dignity. There are just too many examples of undesirable consequences arising out of bad governance. The sources of poverty, human suffering, instability, civil war, and unresolved conflicts, can easily be traced back to bad governance. In my considered opinion, the Church has a clear obligation to actively address this fundamental issue of bad governance wherever it occurs, because it is directly harmful to the existence of peace and justice among the people of God. This issue is obviously closely associated with the healing role of the Church, more specifically, healing in its relation to politics, the economy and culture. We learn from the Bible (ref. Luke 9:6; Mark 16:15-20) that ‘Christ heals and sends us to heal others, not to transmit spiritual goods only, but to save the body along with the soul.’ This means that the tasks of healing are not limited to the religious sphere alone; they also include and presuppose the political, economic and cultural spheres. The Church should therefore bring a kind of ‘healing’ also in the political environment. The King said: Venerable Nagasona, will you converse with me? Nagasona replied: If your Majesty will speak to me as wise men converse, I will. But if your Majesty speaks with me as Kings converse, I will not. The King asked: How then do the wise men converse, venerable Nagasona? Nagasona replied: The wise men do not get angry when they are driven into a corner. But Kings do! Despite all these challenges which Africa faces in the building and maintenance of peace and justice, the Word of God can still unite us in peace and solidarity, and in respect for the rule of law and the dignity of the human being, who is created in the image of God. The scourge of violence and death which is raging in several places on our continent is caused primarily by the absence of the requisite values, and the systems to protect them. It is absolutely essential for Christians in Africa to constantly strengthen the foundation of our faith, our Christian values, and above all, our relationship to God. The Africa that we want is that which is conscious of its unity in diversity, and of the richness contained in its vast natural resources. The Africa that we want and pray for is that whose leaders will be guided by a vision and a mission of creating strong, peaceful, and truly democratic modern States, capable of attaining the high levels of social and economic development which the developed countries of the world have achieved. Since Christ made the Church ‘the salt of the earth and the light of the world’, the contribution of the Church in building and maintaining such modern African States is of vital importance. She must preach to the leaders of Africa to become the instruments of transformation of their Societies. The Church can contribute greatly to the achievement of reconciliation, peace and justice in Africa by promoting integrated human development and inter-religious efforts for justice and peace. God bless Africa. God bless Tanzania. 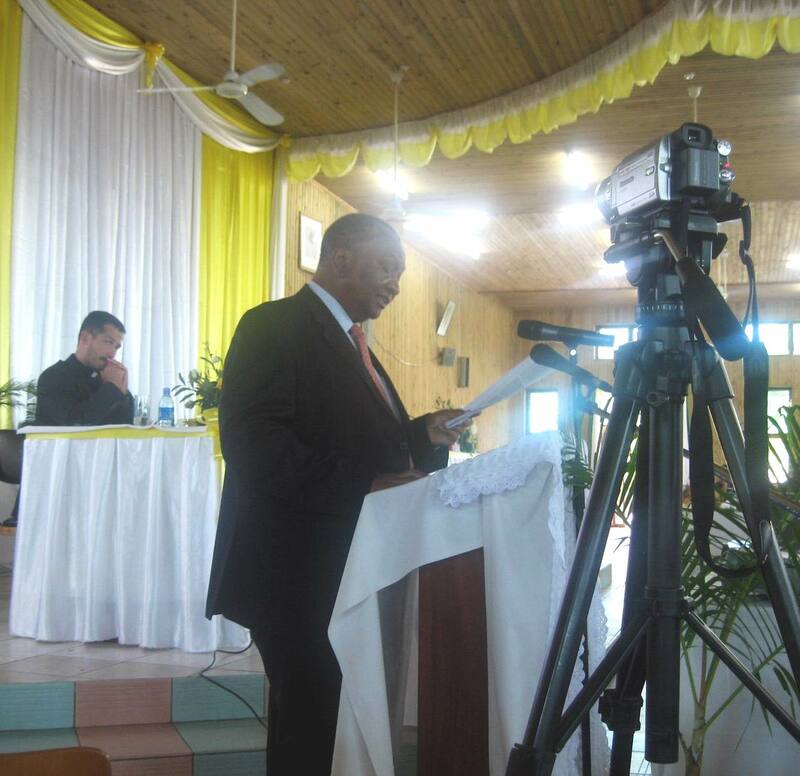 Before concluding my statement, I wish to make a request to your Conference, which is that this Conference should please accord special recognition to the superb work and commitment of the Laity in the Church here in Tanzania and elsewhere in Africa. Members of the laity are playing a very crucial and significant role and are providing a major source of hope for the local Church. The meaning and importance of the laity’s presence is to be found not only in their increasing responsibility and participation in the Church’s activities, but also in their growing awareness of the nature of the Church’s mission. I wish therefore to recommend that advantage should now be taken by the Church to transform these reliable Christian lay communities, into real instruments of reconciliation, justice and peace in Africa and the whole World. Distinguished Delegates and Invited Guests, I thank you sincerely for listening to my statement. May God bless all the deliberations of this Conference. I now have the honor and privilege to declare open, the seventh Assembly of the Catholic Biblical Federation, which is being held here in Dar es Salaam, Tanzania.